Treat your own mom to a beautiful brunch this Mother's Day complete with a fancy meal that won't require you to spend the rest of your special day at the kitchen sink. 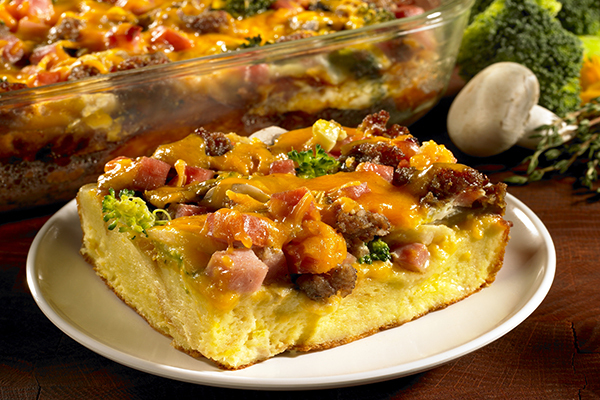 This breakfast casserole from Nature's Own, layered with plenty of hearty ingredients like cheddar cheese, broccoli, mushrooms and sausage, can be made at night and baked the next morning. Cut 6 slices of bread into quarters. Place bread quarters in bottom of 13 x 9-inch baking dish. Place cheese slices over bread. Next layer broccoli, mushrooms, sausage, ham, water chestnuts and onion. Top with remaining 6 slices of bread, cutting into quarters, if necessary. In a bowl, mix eggs, milk, onion, salt and dry mustard. Pour mixture evenly over casserole dish. Cover and refrigerate overnight or for at least 6 hours. Uncover dish and bake for 50 minutes. Remove from oven and sprinkle with grated cheese. Return to oven and bake for an additional 5 minutes or until cheese is melted and casserole is heated through. We just love a recipe that has the word 'easy' in the title. 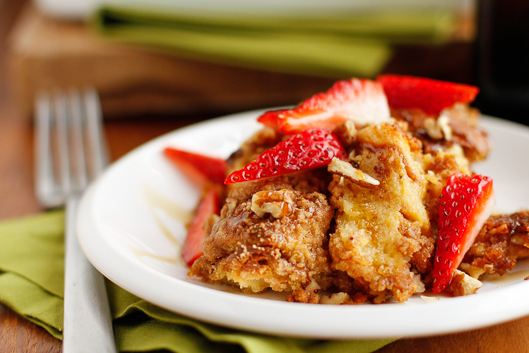 The Unsophisticated Cook blogger set out to make a French toast casserole recipe that was not too soggy yet not too dry. 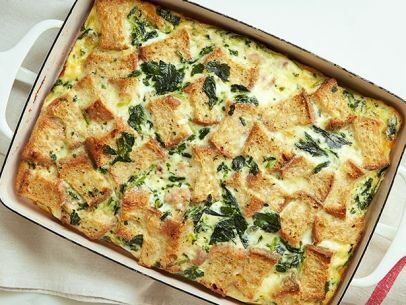 The Food Network Kitchen produced this healthy yet hearty breakfast casserole with turkey sausage, whole wheat bread and spinach for a good-for-Mom breakfast that's hearty enough to serve for brunch, too. 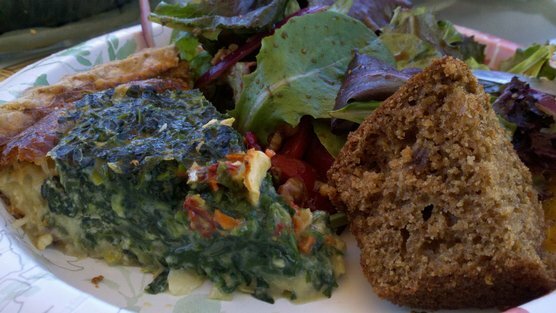 Eat, Drink & Garden blogger Valerie Rice shows us that brunch casseroles don't have to be filled with bread. 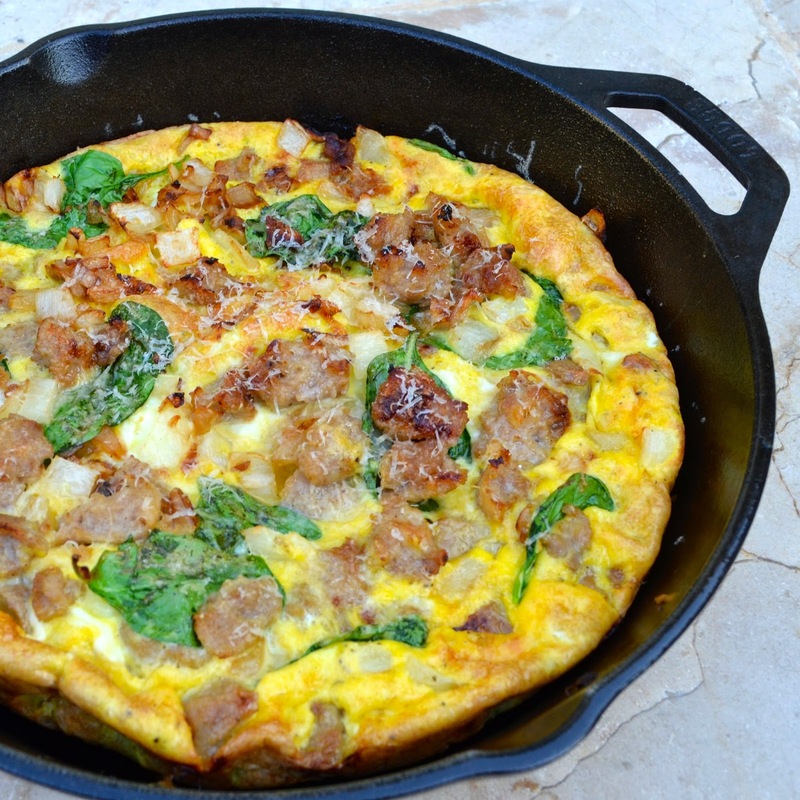 This turkey sausage and egg bake does not require bread — but you'll never miss it. With just eight ingredients, The Grocery Game estimates the cost to make this quiche is just $6. But it looks fancy, so you don't have to tell Mom her brunch is under budget. 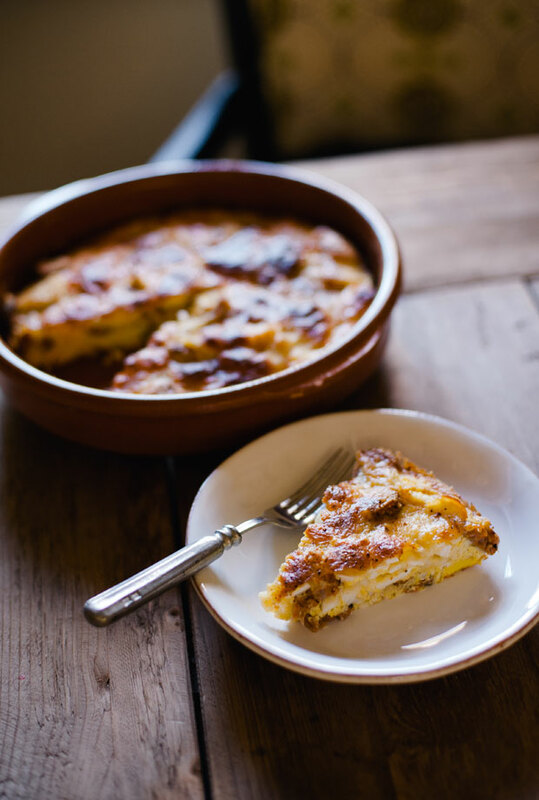 Alivia Jane's easy frittata requires just five ingredients (plus salt and pepper), and in just a few minutes you'll have an impressive egg dish for Mom.